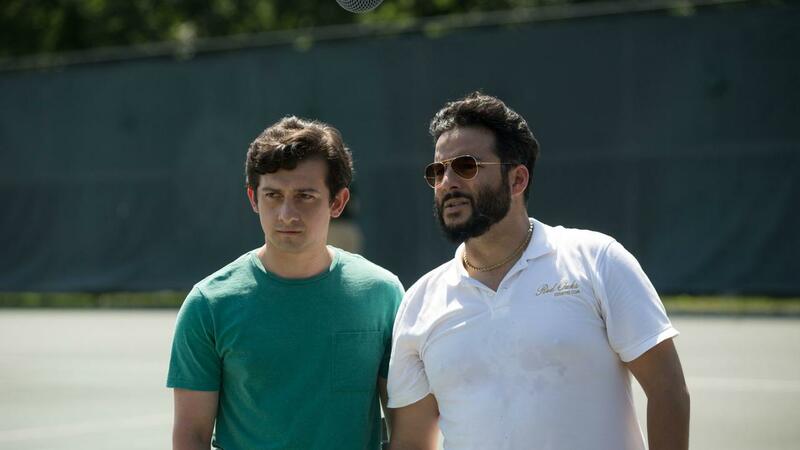 Red Oaks is a nostalgic, half-hour comedy series that has played an important part in the ever-expanding scope of original content produced for online streaming platforms. The third and final season is set to premiere on Friday, October 20 on Amazon Prime. Ahead of this, we met with series stars Craig Roberts and Richard Kind, who play father and son on the show, respectively. Throughout our time together in which we're meant to talk about this last run, the two are eager to share their thoughts on various television and film content. This passion for creative content is a strong source of banter and chemistry that lends itself to the familial relationship they have played on the series for these three seasons in total. Roberts is a fan of the latest Twin Peaks run, which Kind tells him not to spoil since he himself has yet to watch it. The final season sees Roberts' character David Myers pursuing his dreams of being a director even further by moving to New York City and taking up a job as a production assistant. Roberts himself has added the role of director to his artistic career and starring on Red Oaks has permitted him the opportunity to work with a variety of directors. "I don't think I'll know exactly what I've learned from all of them till further along, but it's been a great experience." Roberts and Kind spend more time apart this time around, as Sam Myers remains in New Jersey while David chases his dreams in the big city. Sam works to find a new path in life following his divorce from his wife. This recurring theme of the duality of change, and how it can be beautiful or painful, is largely central to the stories of the lead characters in their last run. "That's interesting, that that's what you've taken from it," says Roberts. "Yeah, I think we mostly just focused on the story for what it was," adds Kind. "But that's something that I think resonates with all of us. It's part of life and that's what the show is about." With Red Oaks being part of a large rise in original content for online streaming platform, it displays one of the greatest advantages to the format - freedom from the interruptions and regulations of television-network advertisers. "The story can be more open in this format," says Roberts. "The scripts can flow into one another since most people that watch are going to sit down and watch an entire season at once. You can delve much deeper into knowing these characters," says Kind. Those in charge of this show had an important advantage when planning out this season by knowing that it would be the last episodes ahead of time. When discussing the topic of show-endings, Roberts references The Sopranos as a stand-out in the history of ending series. "It's quite tricky, isn't it because there's only one way his story can end but he's so popular that you can't kill him, so what do you do? You have to cut to black." When asked what their hopes are for the show's legacy in the long run, Kind is optimistic and passionate about what the creative team behind the show have put forth. "I hope it becomes a big cult classic. I think it's the type of show that more people would've loved if they had actually seen it. It's a sweet show, there's no malice in it. I don't know why we're not coming back for more but I think it ends on a good note and things are wrapped up well." The final season of Red Oaks will premiere on Amazon Prime on Friday, October 20.